What’s “grand gold” you ask? The best of the gold award winners picked by the Council for the Advancement and Support of Education (CASE) District VI judges for the district’s institutional awards. 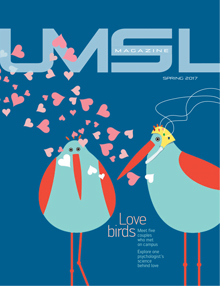 Judged on its fall 2016 and spring 2017 issues, UMSL Magazine came in ahead of other university general interest magazines from across the Midwest. CASE District VI represents institutions of every type and size from Colorado, Iowa, Kansas, Missouri, Nebraska, North Dakota, South Dakota and Wyoming. 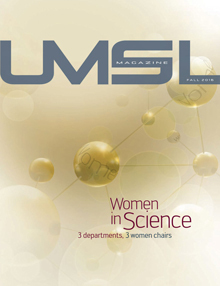 UMSL Magazine, which is produced by University Marketing and Communications, won for its bolder take on feature writing and design and for its high quality with such a small staff. “I’m constantly amazed at what wonderful things this university accomplishes on a razor-thin budget,” said Martin Leifeld, vice chancellor for University Advancement. 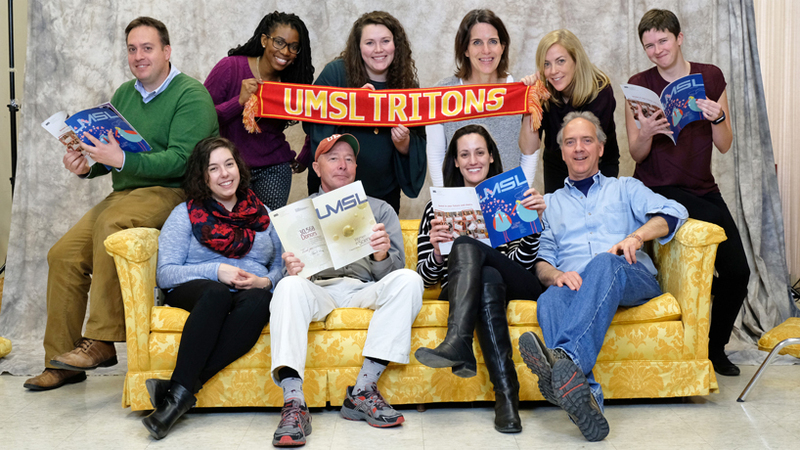 UMSL’s marketing and communications team had two more wins alongside its magazine: gold in “Design of Invitations” for its UMSL Golden Reunion Formal Invitation Set created by graphic designer Wendy Allison and silver in “Excellence in News Writing – General News” for content writer Jami Hirsch’s UMSL Daily coverage of the university’s community impact through people and programs that make a difference. CASE is an international association serving educational institutions and the advancement professionals who work on their behalf in alumni relations, communications, development, marketing and related areas. The awards will be officially presented during the district’s annual conference Jan. 28-30 in St. Louis this year.